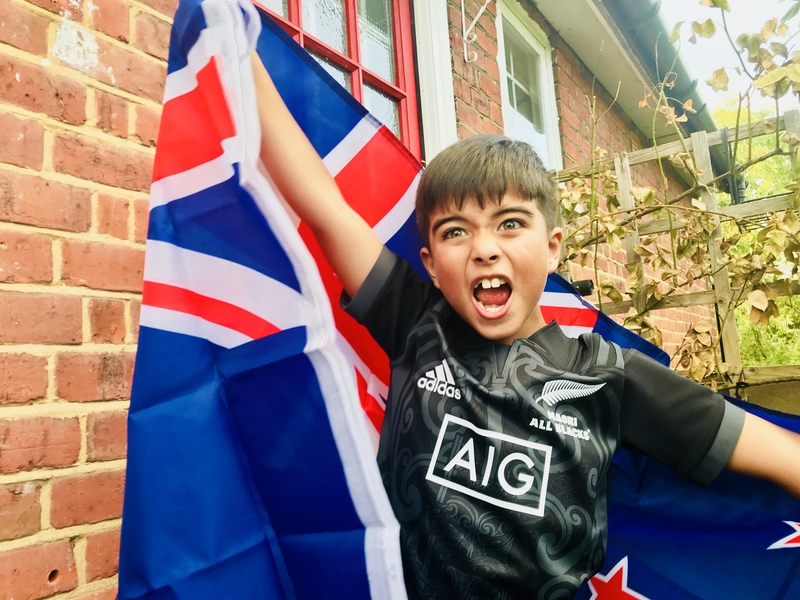 Me: Today, I’m inviting my son, Phoenix, to the blog, as part of a series we’re calling Halfway Round the World with the Haddows, where we let you in on all that is going on with our big move to New Zealand in September. Welcome, Phoenix. Phoenix: Thank you for having me, Mama. Me: Today we are talking about us leaving the UK and setting up our new home in New Zealand. How are you feeling about it? Me: Erm, excuse me. This is not eBay. This is my blog. We talk about my books. Me: No. Get your own blog. Phoenix: I’ll just use yours. Me: Back to New Zealand. How are you feeling? Phoenix: I’m feeling quite nervous but excited. I’m nervous about moving and if I can fit all my stuff on the boat. But I’m excited because it’s a big adventure and we are going to have a really fun time and I’ve been promised a swimming pool, a treehouse and a Nintendo 3DS. Phoenix: That’s not what you said, when you needed my vote to move. Me: I don’t actually remember promising those things. Phoenix: You did promise. You have a bad memory. I remember these things. Me: So anyway, what are you looking forward to the most when we get to New Zealand? Phoenix: I’m really looking forward my swimming pool, my treehouse and my Nintendo 3DS and hopefully seeing the All Blacks play. Me [ignores Phoenix’s remarks about a swimming pool, treehouse and Nintendo]: Why don’t you tell the folks reading this about where we are going? Me: It wasn’t our honeymoon. Phoenix: Where was your honeymoon then? Phoenix: Oh. OK. So they went to New Zealand for no reason ages ago. Phoenix leaves the room to go to the toilet. Me: [shouts at bathroom door]: Thank you Phoenix for your insights. Only fifteen more sleeps until the epic journey to New Zealand begins, folks. I can provide Phoenix with a swimming pool (Olympic size), a treehouse with parking space, actually make that a double garage and 2 different colour Nintendo 3DS things. I’ll also organise a meet and greet with the All Blacks when they next visit the UK, I’ll get Phoenix a signed rugby ball, kit for NZ and England and VIP tickets to watch every match in our living room. Will you please stay in this country? Your offer is being considered and you will be informed of the outcome in the next 12-18 months.